We understand that our companies are forced to evolve in a world of constant technological changes if we want to remain competitive within the market. One of the best technological solutions that are presented today is Process Automation Robotics (or RPA), which consists of implementing, through AI, bots or software robots that substitute the manual, tedious and traditional tasks, for automated and fast tasks at a lower cost. The low cost of this emerging technology and its simplicity of implementation are transcendental characteristics that companies consider when they want to strengthen their growth, improving their services, without harming their finances or their human talent. The company that decides to implement a business technology such as RPA plans to configure software robots for the execution of large volume and cyclical manual tasks, decreasing the use of one or several technological tools, and executing in an uninterrupted way the job that a person would typically do in 8 hours of work. These software robots work with cognitive technology and artificial intelligence, so that the RPA adapts to your business and not vice versa, enhancing the competitiveness of your company. How does the RPA help my company? Implementing Robotic Process Automation brings numerous benefits to organizations. In particular, it allows companies to use their workers for more important tasks, by freeing them from simple, repetitive and, commonly, large volume activities, generating annual savings of up to 20%, especially by reducing personnel costs and a lot of errors and reprocesses, that are frequent in manual tasks and creates an additional expense for the company. Additionally, implementing Process Robotics Automation in companies will allow them to generate higher-level jobs, while human talent will have time to acquire new skills, as companies will require much more qualified personnel to perform new functions, translating into a win-win relationship between companies and their workers. Thanks to the economic profitability generated by the implementation of RPA in companies, they can invest in new technologies or in the hiring of support staff. As mentioned before, having smart bots represents a substantial competitive advantage, since they will be active 24 hours a day, 7 days a week and 365 days a year, representing a significant improvement in productivity, and in the operational efficiency of the company and substantially reducing the execution times of tasks. It is estimated that the work done by a software robot can amount, at most, to 5 full time employees. Another advantage that the RPA represents for companies is that the margin of human error disappears from the activities for which it is implemented. The robots cannot get distracted, and their calculations will always be correct unless they do not conform to its parameters and a human must intervene to solve the problem. 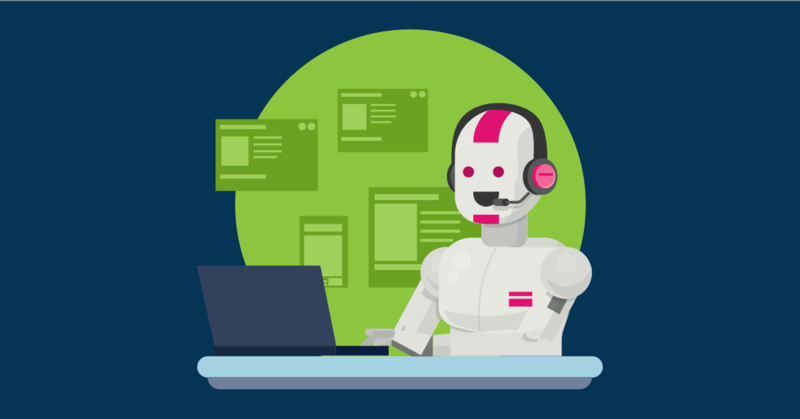 In addition, it is possible to know the performance of these through KPIs analysis generated by the same bots, which allows to continuously improve the processes carried out by the RPA, and thus, its quality and response time. Despite being an emerging technology, it is expected that by the beginning of the next decade it will be common to find companies whose low-level tasks are carried out by robots, where human talent is dedicated to high-value activities and whose growth has been seen notably and positively affected by the implementation of Robotic Process Automation.